Zambia like many other countries is concerned about the situation of women and recognises that women and girls should enjoy the rights to participate in local governance and decision making on equal terms with men and women, boys and girls in every area of life. Participation includes for example the right to schooling, the right to make decisions both in the family and in the local communities. By signing the UN Convention on the Elimination of all forms of discrimination against women (CEDAW) Zambia recognises that the equality of opportunity and treatment for women and men will not Village Women network Leaders possing for a photo during the training in gender awareness be achieved unless women rights are known enshrined in law and properly enforced. In addition, the Convention agrees that education is needed to change harmful discriminatory practices. As a signatory, the Zambian Government agrees to report to the United Nations every four years on its progress in implementing the Convention. In 2000, it further facilitated the process of removing gender imbalances in order to attain its vision on gender inequality by adopting and implementing The National Gender Policy (NGP). Furthermore, Women in Law and Development in Africa (WiLDAF) facilitated the process and produced a simplified version of CEDAW in their support towards Zambia’s achievement of gender equality, peace and development for the benefit of its entire people in line with the National Gender Policy. In 2006, the UN CEDAW committee reviewed Zambia`s report. In the CEDAW recommendations, rural women`s access to leadership positions has been emphasized as one of the areas of concern that need further improvement. 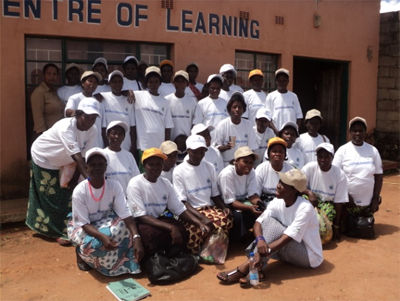 Rising Fountains Development Program (RFDP) is one of the local organisations in Lundazi District whose main aim is to help the most disadvantaged people uplift their standard of living and live with dignity within their communities. It has been discovered that people especially the women have been taken advantage of and exploited because women are not aware of the existing policies which are formulated by government so that their rights are protected. Women have for some time not been participating fully on local governance and decision making at community level. 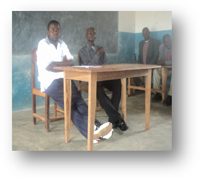 Most of the leadership positions at community level are filled by men and decisions made by men. Women traditionally take on most of the work in maintaining the household, including caring for children, making food and fetching water. Fewer girls attend school than boys, and therefore have fewer opportunities open to them. Although women and men both farm, women are likely to farm more marginal and unproductive land because traditional patterns of land ownership often favor men. To creating an enabling environment for women to participate in local governance and decision making by increasing gender awareness amongst community members, traditional leaders, civic leaders and stakeholders. Enhance women participation in local governance, leadership and decision making at community level by conducting round table meeting, dialogue meeting with policy makers such traditional leaders, civic leaders such members of parliament, ward councillors, district commissioners and political party leaders. Form Village Women Networks (WVN). The major aim of the VWN is to increase gender awareness and participation in local governance and decision making among the local community women. The purpose of the VWN are as follows; to bring the women together for mutual support, exchange of experiences, information, knowledge and skills and to monitor the implementation of the national Gender policy. 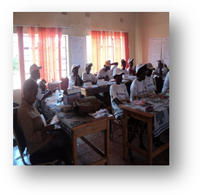 Train VWN members in Gender awareness, local governance, decision making leadership skills, lobby and advocacy. Training of traditional leaders covering chiefs, indunas, group headmen, village committees and headmen on gender awareness, local governance, decision making, advocacy and lobby and leadership skills. Traditional leaders especially chiefs, indunas and headmen take an active role in ensuring that women have access to and control over productive resources such as land, credit, education, technology, information and training. More women in leadership positions at community level such as group head women, water and sanitation committees, orphan care committees and other support groups. Women rights recognised, respected and incorporated in the day to day lives of the local community members. More women participating in decision making processes at family and community level.eg during marriages, funerals. More women elected as ward councillors and take active participation in decision making at local level. Changes in attitudes, behaviors and practices of the population and decision-makers with respect to women’s rights.